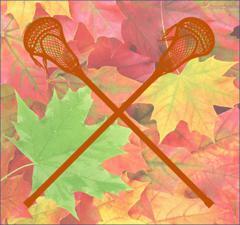 Fall lacrosse will be available for all interested players regardless of skill level. Participation is not mandatory. There has been a slight change in the Fall Ball program this year. The Boosters have registered the team in the Sunday lacrosse league run by Basic Training Lacrosse and held at the Shipley School. The games are on Sundays between 8AM and 12PM from September 16 through October 28. Team rosters will be set at Coach Proud’s discretion. Fall lacrosse practice will be held on the Harriton turf on most Saturday afternoons from 2PM to 5PM from September 15 through October 27. Practices for Fall tournaments will continue depending on when tournaments are. Tournaments (participation optional) are planned for early November, and are a separate fee, usually about $50 per player. Coach Proud will set tournament rosters according to the level of play per tournament. We also plan to augment the Saturday practices with additional targeted and specific instruction in areas such as face-offs, goal keeping, shooting technique and defensive tactics by occasionally bringing in instructors from outside the program. Please contact the Boosters at harritonlaxboosters@gmail.com with any questions.